In the end of 19th century, somewhere at Galata, in Instanbul, a famous traditional maker of musical instruments, Manolis Venios, had his shop. Born at Folegandros in the Cyclades, he lived in Instanbul all his life. Although he didn't speak any Turkish, his best client was the Sultan's Palace. He made ouds, lutes, sazis. In fact he is so well-known for his ouds now, that some people compare them to Stradivarius violins. 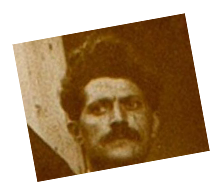 His nephew, Victor Dekavalas, became apprentice at the shop and was taught the craft. After his uncle's death, Victor and a second apprentice of his uncle, Moustafa, opened their own shop. In 1922 he came to Greece with a foreign passport, hunted by the Turks for illegal circulation of Greek newspapers in Instanbul. He brought with him whatever he managed to save from his shop - tools, models and after a short wandering he settled in Thessaloniki. In 1923 he started his workshop at Rotonda, near the site where it is still today. Kostas, Victor's son, was born in 1924. Since the age of fourteen, he occasionally helped his craftsman father at the shop, but it wasn't till 1949 that he himself became a real maker of musical instruments. Until 1961, when his father died, they had been working together. In 1961, Kostas Dekavalas made a new start. He stopped selling instruments to other stores and started making professional instruments just for his own shop. He upgraded the quality of his work, experimented with forms and models, searched and developed his craft, bridging the old craftsmen's experience and models with the modern views on the improvement of instrument-making and sound. In 1973, Nikos Sakalis, fourteen at the time, came to the shop to learn the craft. Victor Dekavalas, Kostas' son, followed a course similar to his father's, helping at the workshop since his early childhood. In 1982, having finished his studies as petroleum chemist, he also decided to become an instrument-maker. Soon the shop, being up to then a retail store too, proved to be small, so a second store opened a little farther, at 78, Philippou str. Since 1990, when Kostas Dekavalas stopped working at the shop, his son, Victor, and Nikos Sakalis, continue the tradition trying to blend their forerunners' experience with their own experimentation and the modern trends of traditional instrument-making.